Digital timer for recording student reading fluency. Is there a better alternative to Fluency Timer? Is Fluency Timer really the best app in Language category? Will Fluency Timer work good on macOS 10.13.4? 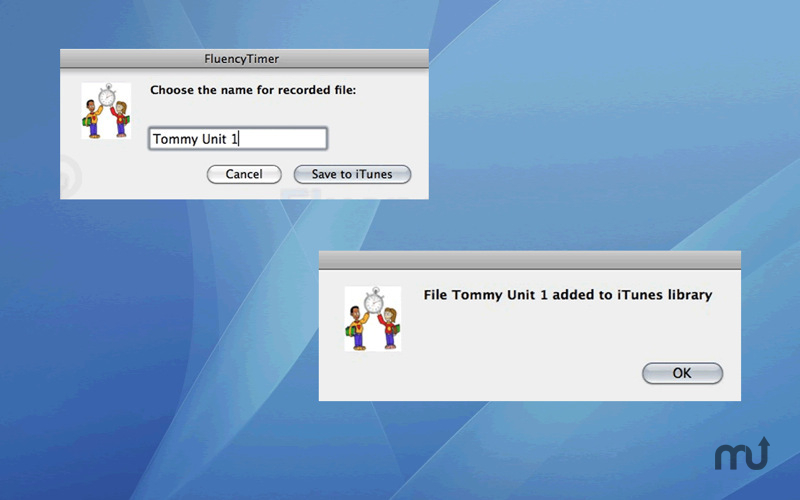 Fluency Timer is a one-minute digital timer that automatically records students' fluency readings. Just press record and the software does the rest. It's designed to be simple enough that both teachers and students can use it. Using Fluency Timer will revolutionize fluency assessment, provide an instant independent work time activity, and help students' reading fluency to skyrocket. Fluency Timer needs a review. Be the first to review this app and get the discussion started! Research has shown that having students listen to themselves reading increases students' reading fluency as they hear their own mistakes and work to correct them. By recording fluency assessments, teachers can review results, share recordings with parents, and allow students to hear themselves and practice to read better.